Fabulous Jeff’s Naturals Cocktail Recipes to Enjoy for the Holidays! 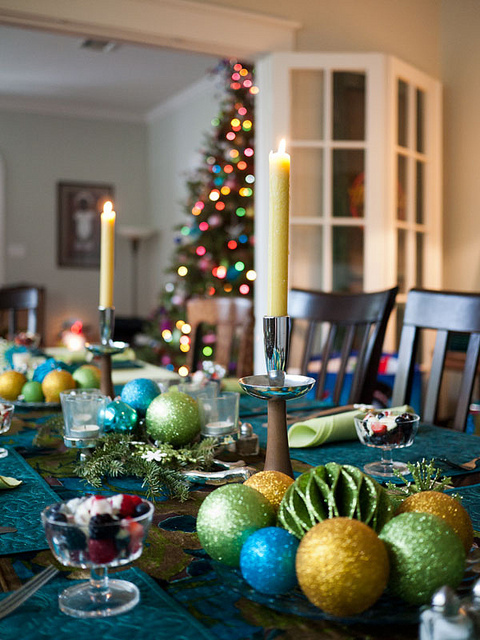 The holidays are a time for festivity, fun, and yes, libations! 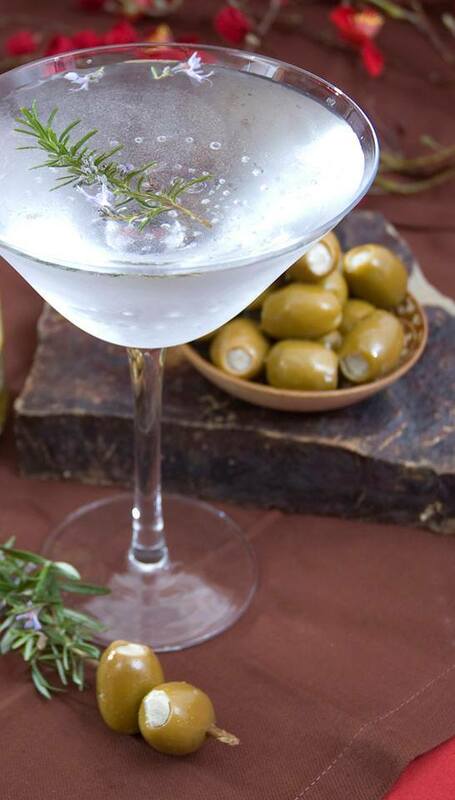 We’re not saying everyone should consume adult beverages this holiday season, but if you do, drink responsibly and use only the best olives and garnishes. These simple cocktail recipes and tips will go a long way to make your spirits bright. Playing bartender has never been easier! Always save your olive juice to “dirty” your Bloody Mary or cocktail. Thread Jeff’s Naturals Blue Cheese Stuffed Olives onto fresh rosemary for your cocktail. You’ll get a sensory overload with the fresh smell and bright flavor! Pit Jeff’s Naturals Castelvetrano Olives and add to a martini. Never ruin expensive gin with inferior olives. Use Jeff’s Naturals Garlic Stuffed Olives, along with our Pepperoncini to garnish a bountiful Bloody Mary. 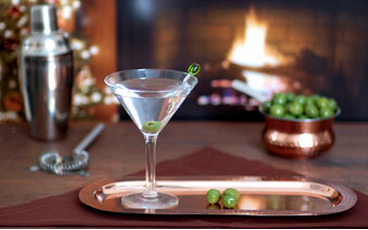 Replace your usual green olive for a Jeff’s Naturals Blue Cheese Stuffed Olive in a martini. Chill martini glasses in freezer for 15 minutes. Add one rosemary sprig to cocktail shaker and muddle to release oils. Add ice to shaker. Pour in vermouth and vodka or gin. Shake vigorously. Remove reserved rosemary leaves from the base of each sprig and thread with an olive or two. Remove glasses from freezer. Pour martini into glasses through a fine strainer, (this will insure no rosemary bits end up in the cocktail). Garnish with rosemary sprig and olives. 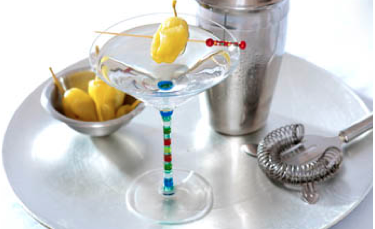 Pour liquor and peperoncini brine into a martini shaker with ice. Shake at least 30 seconds and pour into a chilled martini glass. 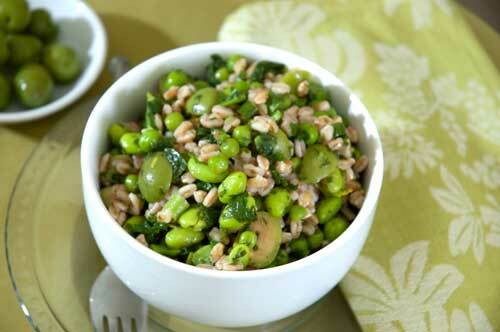 Garnish with a peperoncini or two and enjoy! Stir Bloody Mary mix and Vodka together. Add a dash of hot sauce, Worcestershire sauce, and a splash of Jeff’s Naturals Olive or Pepper brine. Pour over ice in a highball glass. Garnish with your favorite Jeff’s Naturals Peppers and Olives. Finish with a stalk of celery. 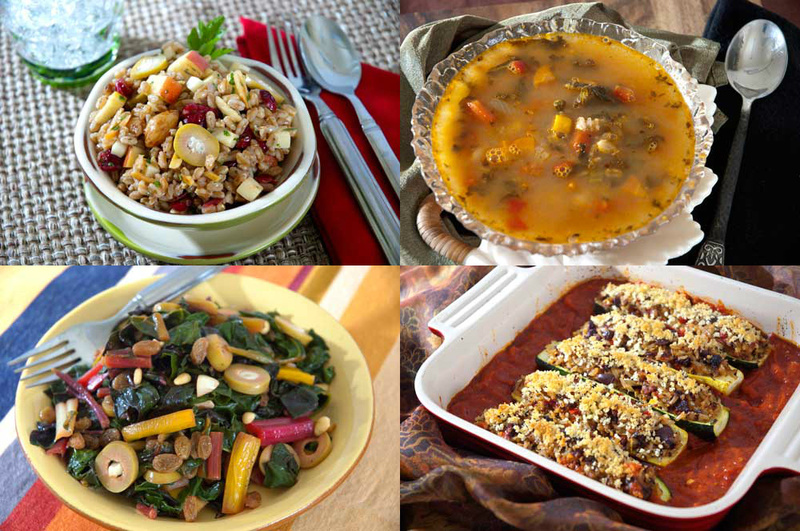 Make your holiday appetizers & meals even better with our ideas! It may be winter, but that doesn’t mean you can’t enjoy the sweet flavor of a sun drenched California ripe tomato! How is this possible? Jeff’s Naturals Sun-Ripened Dried Tomatoes! Our organic tomatoes are locally grown and dried whole under the California sun, then diced and packed with fresh herbs and olive oil. Their soft velvety texture and deep rich flavor makes them ideal for holiday appetizers, side dishes, salads, sandwiches, pizza and pasta and more! Add marinated Artichoke Hearts to an omelet along with Jeff’s Naturals Sun-Ripened Dried Tomatoes . Add about 4 oz of diced Jeff’s Naturals Sun-Ripened Dried Tomatoes to liven up your favorite quiche recipe. For an out of this world scramble, add diced Jeff’s Naturals Sun-Ripened Dried Tomatoes & grated parmesan cheese to your morning eggs. 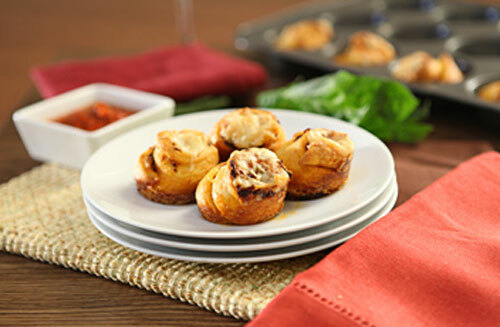 Impress holiday guests with this Crescent Rolls with Gruyère and Sundried Tomato & Basil appetizer, you don’t have to tell anyone how easy they were to make! In a food processor, mix Jeff’s Naturals Sun-Ripened Dried Tomatoes with pitted Kalamata Olives, Capers, garlic, anchovy filets, lemon juice and olive oil for a terrific tapenade. WOW your guests at the holiday dinner table with this Sun Ripened Tomato & Mozzarella Garlic Bread recipe. Mince Jeff’s Naturals Sun-Ripened Dried Tomatoes , garlic, fresh oregano and mix with softened butter. Use as a spread for crusty bread. Toss diced Jeff’s Naturals Sun-Ripened Dried Tomatoes with hot cooked pasta, minced garlic and fresh basil. 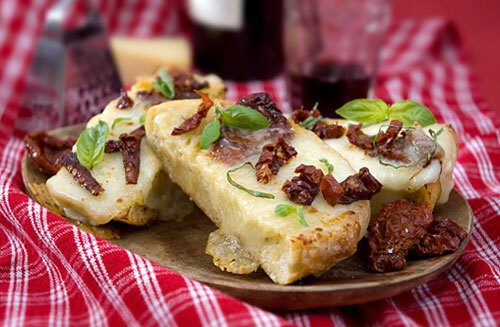 Top with grated Parmesan cheese and enjoy! Add grated Romano cheese, fresh basil leaves, and Jeff’s Naturals Sun-Ripened Dried Tomatoes with olive oil to your mashed potatoes for a Mediterranean flair! Make this simple Mediterranean Pot Roast and watch it disappear in record time! Layer julienne cut Jeff’s Naturals Sun-Ripened Dried Tomatoes on a panini with sliced grilled chicken breast. Simmer minced Jeff’s Naturals Sun-Ripened Dried Tomatoes with diced fresh tomatoes, garlic and fresh herbs for a light pasta sauce with intense tomato flavor. Toss Jeff’s Naturals Sun-Ripened Dried Tomatoes with baby spinach, sliced Kalamata Olives and Marinated Artichoke Hearts for a colorful and delicious holiday side salad. Toss marinated Artichoke Hearts with cooked couscous, Jeff’s Naturals Sun-Ripened Dried Tomatoes , fresh basil, lemon juice, and olive oil for a light yet satisfying side dish.